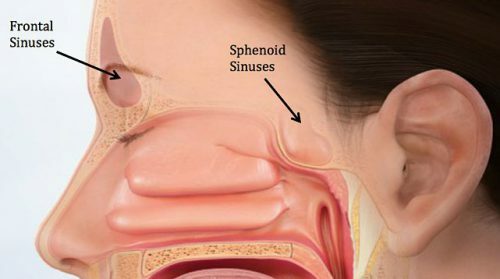 Fracture of the frontal sinus is less common than other facial injuries, but can be more complex to deal with, both in the shorter and longer terms. These are generally high energy injuries, and facial impact in car crashes is the most common mechanism. Fists generally can’t cause the injury, but blunt objects like baseball bats can. There are two “tables”, the anterior and the posterior. The anterior is covered with skin and a small amount of subcutaneous tissue. The posterior table is separated from the brain by the meninges. Here’s an image of an open fracture involving both tables. Note the underlying pneumocephalus. A third of injuries violate the anterior table, and two thirds violate both. Posterior table fractures are very rare. A third of all patients will develop a CSF leak, typically from their nose. 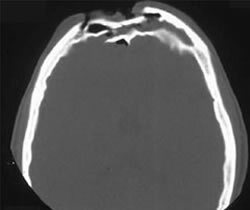 These fractures may be (rarely) identified on physical exam if deformity and flattening is noted over the forehead. Most of the time, these patients undergo imaging for brain injury and the fracture is found incidentally. Once identified, go back and specifically look for a CSF leak. Clear fluid in the nose is, by definition, CSF. Don’t waste time on a beta-2 transferring (see below). If a laceration is clearly visible over the fracture, or if a CSF leak was identified, notify your maxillofacial specialist immediately. If more than a little pneumocephalus is present, let your neurosurgeon know. Otherwise, your consults can wait until the next morning. In general, these patients frequently require surgery for the fracture, either to restore cosmetic contours or to avoid mucocele formation. 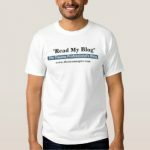 However, these are seldom needed urgently unless the fracture is an open fracture with contamination or there is a significant CSF leak. If in doubt, though, consult your specialist. 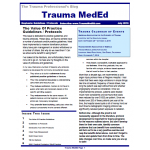 Previous PostUsing Your Hybrid OR For TraumaNext PostNew Trauma MedEd Newsletter Released Soon!